I have always been a deal shopper. I suppose I learned it watching my mom when I was a kid, I can remember my mom clipping coupons and submitting rebates for the items that we bought. I can remember Sunday mornings reading through the ads after church and deciding if there were deals worth heading to the store. One of my favorite days to go shopping each year was Black Friday. Not only was it a day out with my mom, grandma, aunts and cousins, but we got some great deals. I can remember one store giving us a $10/$10 coupon to use on top of all of their deals. Deal shopping has changed a lot since I was a kid. You can get coupons online, apps provide instant rebates on the products you buy and you can find coupons online to your favorite stores. Groupon Coupons is one source of great offers for your favorite stores. In fact, they currently have 84,186 free coupons at 12,116 stores. Not just any stores, but stores that I already shop at like Ann Taylor, Clarks, Amazon, Target, FootLocker, LL Bean and many others. When it comes to shoes for work, going out or a casual day around town, I really enjoy wearing Clarks. Nothing compares with the fit and comfort of the shoes that I find at Clarks. My favorite heels that I can wear for hours are Clarks. I almost never wear heels, so that is saying a lot. Today, there are 31 offers for Clarks on Groupons Coupons. The offers are a mix of sales and coupon codes - 25% off, free shipping, and more. 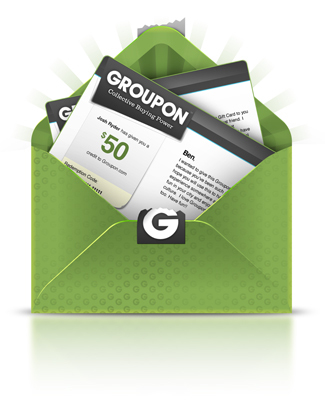 Have you checked out Groupons Coupons? What is your favorite deal?